There’s are some bands that have been with me since I first started really getting into progressive rock music and have stood the test of time because I like their music and how they have developed over the years. 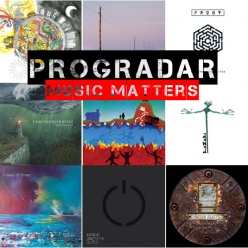 However, because I am what is classed as a relatively ‘late adopter’ to the genre it also means that there is a fair amount of back catalogue stuff and undiscovered gems that I have never heard. When a band releases an album of ‘Previously unreleased tracks and more..’ it often only appeals to the completists among the fanbase and doesn’t tend to draw in new listeners or fans who have only started to like the artists later in their career. So, what would Glass Hammer’s ‘Untold Tales’ give us, I wonder? Starting with songs from 1993 and concluding with a live recording from 2017, it promised to be something a bit different from the usual archive offerings. Comprising of 13 tracks in total, including instrumentals and the aforementioned live track, ‘Untold Tales’ offers the listener a sizeable chunk of never heard before Glass Hammer music. It opens with a couple of interesting instrumentals, Shadows Of The Past reworked in 2008, Fred Schendel reworking the opening track off ‘Journey Of The Dunadan’ using techniques unavailable on first release in 1993 and it has a suitable cinematic soundscape to its orchestral magnificence. 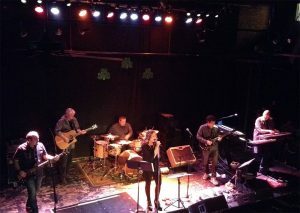 Infusion is a piece of music originally released on the album ‘Love Changes – Featuring Glass Hammer’ by artist Tracy Cloud. There’s a pared back, ethereal wonder to the three minute instrumental with its haunting piano, flute and keyboards and stylish bass playing. The heady Identity Principle is one of the standout tracks on the album and is pure Glass Hammer. Steve Babb literally found this song hiding on a backup drive. The band were never quite satisfied with the mix on the ending. 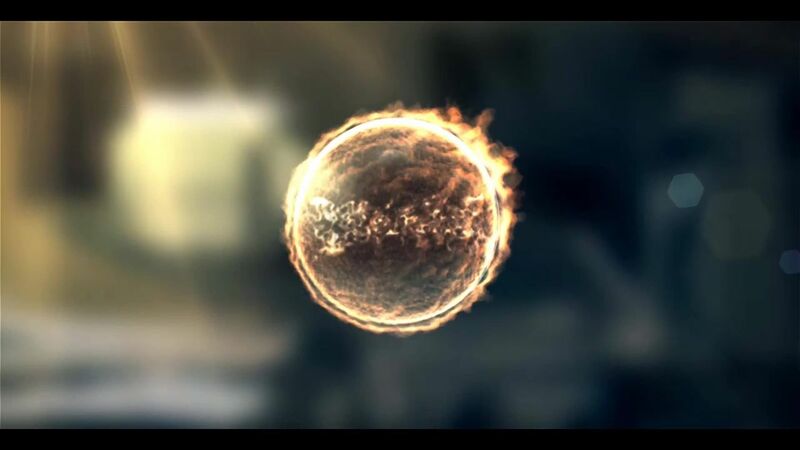 They recorded a new performance of the ending which matches up very well. Thus, this track was recorded in the early 90’s and just a while ago. A wonderfully involving track with great vocals from Walter Moore and an elegant guitar combining really well. It has that great Glass Hammer trait of taking you on a complex and involving musical journey, one that always holds you attention. The melodies entwine and the guitar takes on its own vocal note, to me this is one of THE great tracks from this enduring band and, as Steve himself says, it’s a crying shame it has lain hidden for so long. Glass Hammer appeared at Progscape ‘96 in Baltimore, Maryland and performed the classic Argent track Hold Your Head High. This studio version was certainly recorded around that time, probably in 1997 and is quite a bombastic version for a band noted for their Elfin lyrics and music. Steve’s bass is driving and dynamic and Fred seems to be having ball on the keyboards, add the stylish guitar of David Carter to a powerful vocal from Walter and you’ve got a rather excellent cover version. I have to be honest, there are a couple of what I’d call ‘throwaway’ tracks on the record and we get both in quick succession. Actually they aren’t bad tracks but, compared to the prog-fest that’s going on around them, they do seem a little lacklustre. Babb’s Bach is Steve’s humble attempt to achieve something similar to tracks from ‘Switched On Bach’ by Walter Carlos and just feels throwaway. It is immediately followed by And Then She Sighed which feels like a pastiche of any medieval tune, admittedly with excellent vocals from Laura Lindstrom Davis and a Girls Choir of Allison Savard, Kaytie Mitchell and Kendra Roden. You are brought out of any stupor by the excellent 80’s synth-rock of Eiger Dreams, a charismatic and compelling track that bears comparison to Giorgio Moroder in my humble opinion. If you have seen the band’s ‘Live At The Tivoli’ DVD then you may recall this is the opening track. Included here is the never-before-released studio version recorded (or at least mixed) in 2008. I wasn’t a big fan of the vocals when I first heard it but repeated listens have shown me that they fit this dark and eerie tale perfectly. Disturbing and sinister in parts, it creeps under your skin and becomes quite addictive, like a horror film that you can’t take your eyes off. Doctor Who for the more cerebral of us perhaps? The album closes with a fantastic live rendition of No Mans Land (from the 2016 album ‘Valkyrie’) recorded at The Camp House in May 2017. A fan favourite from its first release, it is utterly involving and enthralling as a live track and finishes this stellar collection on quite a high. Another archive release for those completist fans then? Absolutely not!! 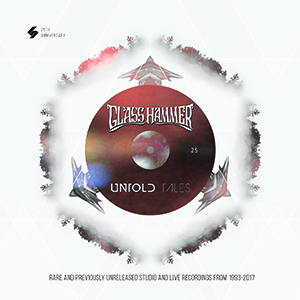 ‘Untold Tales’ is an excellent collection of rarities that has lots of appeal, both to the dedicated Glass Hammer fan and those new to this exceptional outfit, a group of musicians who are definitely one of the best progressive rock bands around today.